Three of Sydney’s premiere social establishments – the memorial of NSW, Carriageworks while the Museum of modern Art Australia – have established a major brand-new partnership to provide a single curated event throughout the three venues. 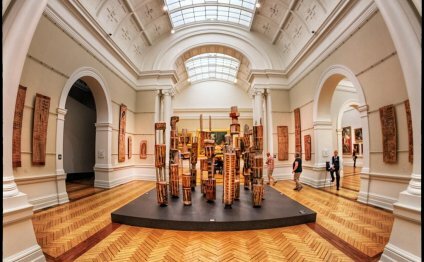 Linking three of Sydney’s crucial cultural precincts – The Domain, Redfern and Circular Quay – The nationwide: brand new Australian art could be the just large-scale continual event in the town focused entirely on modern Australian art. Over three versions in 2017, 2019 and 2021, The National will account a variety of emerging, mid-career and established music artists from around the country and practising overseas. New and recently commissioned works encompass a varied array of mediums, including artwork, movie, sculpture, set up, design and gratification. Featured works on Gallery in 2017 feature Taloi Havini’s multi-screen video installation Habitat, Tiger Yaltangki’s artwork Doctor which and Alex Martinis Roe’s new movie when you look at the series To becomes two.